For our last touring day in South Korea, we decided to keep it light since we had to pack the same day and leave early the next day. 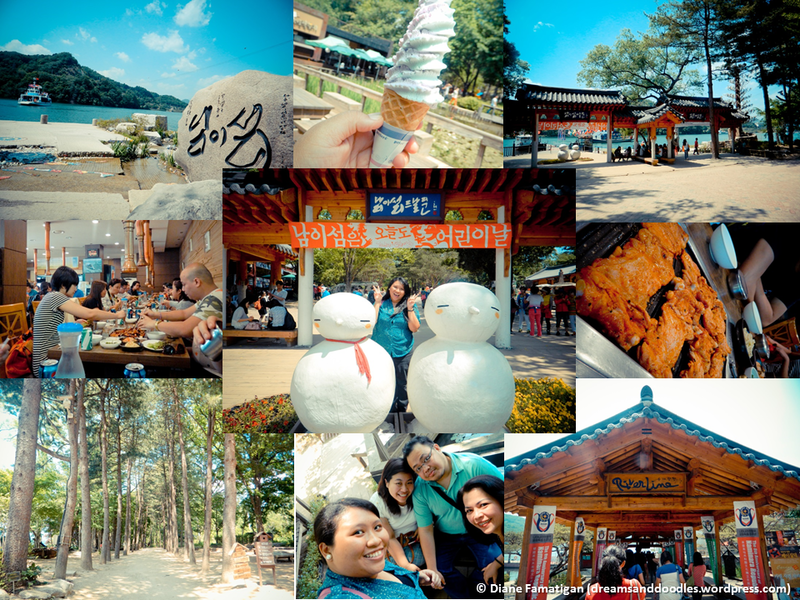 Our first stop was Deoksung Palace. 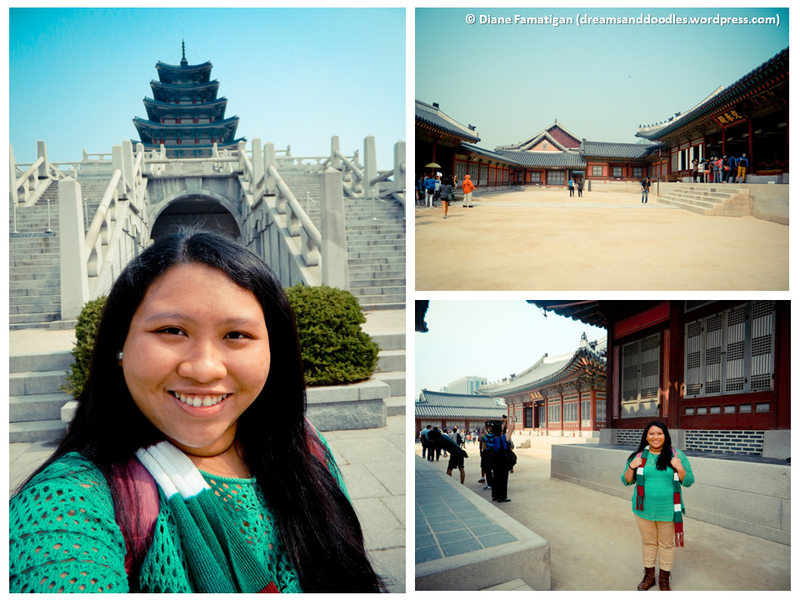 It’s one of the 5 palaces you can find in Seoul built in the Joseon times. This palace is very accessible to public transport. You just need to ride the metro and alight at City Hall station, then voila! You can see the palace across the city hall. I liked this place since it’s compact. the grounds are not too big to explore and you can finish touring it in about 1 hour. What’s unique about Deoksugung is that it has a western-style building (Seokjojeon) and garden with a fountain that looks like a European mansion. It’s a nice place to take photos. We also attended the changing of the royal guard ceremony at the palace gate. It’s similar to the one in Gyeongbukgung (which is a palace I visited in my previous Korea trips) but it’s more intimate because of its smaller scale. Deoksugung has become quite popular with tourists recently due to it being one of the shooting locations for the drama, Goblin. Outside the palace walls, was where they shot the first time Kim Shin (Gong Yoo) saw his goblin bride, Ji Eun Tak (Kim Go Eun). 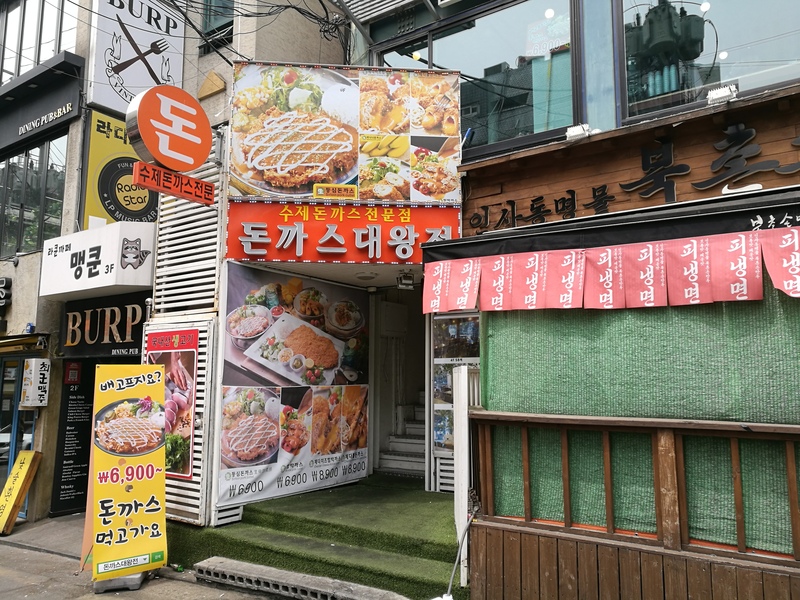 Our last stop for this trip is in Myeondong. 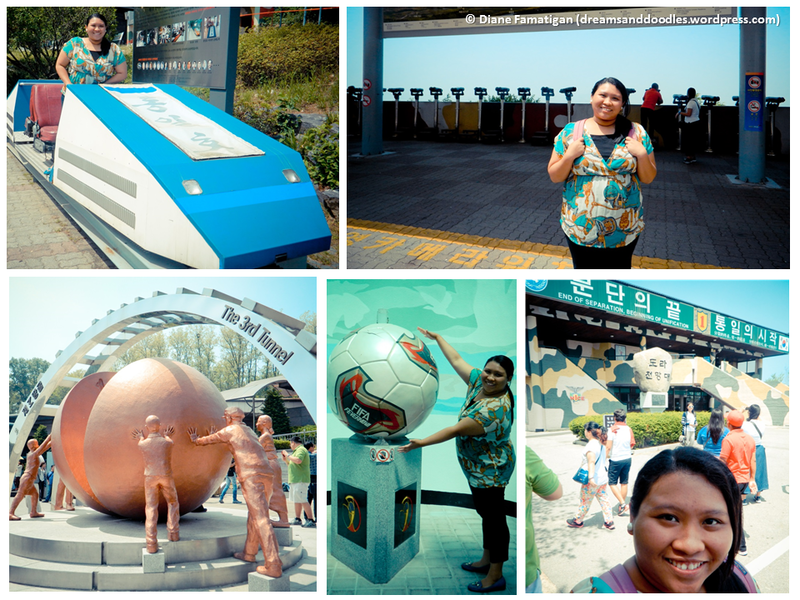 We went back for last minute shopping and to visit the Seoul Global Center at M Plaza. 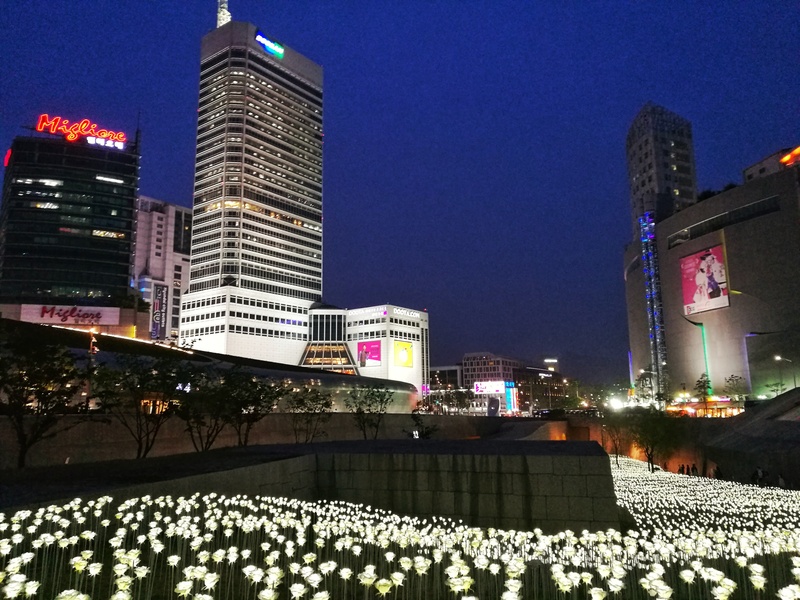 Seoul Global Center is a tourist center where you can get info, books, flyers coupons, and attend Korean arts and crafts, and language classes. They also have a hanbok experience booth, which is what we wanted to do. M Plaza is beside the main entrance of Forever 21. Don’t miss it! There are a lot of hanbok experience areas in Seoul which you can try. I think best ones are at the palaces, since you get to take pictures in the palace grounds wearing the Korean traditional costumes. For Seoul Global Center, the hanboks are free and you can only take the pictures at their booth for 10 minutes, but the good thing about this place is that it’s not crowded. We didn’t have to wait to take our turn in the booth. You can borrow tripods there, too! It’s a good place to take pictures for an intimate number of people, say 2-4 persons. If you have a big group, I suggest to try K-Style Hub since they have a bigger platform and backdrops you can enjoy. We decided to have a light day after a tiring experience yesterday. Thus, we only visited shopping centers today. 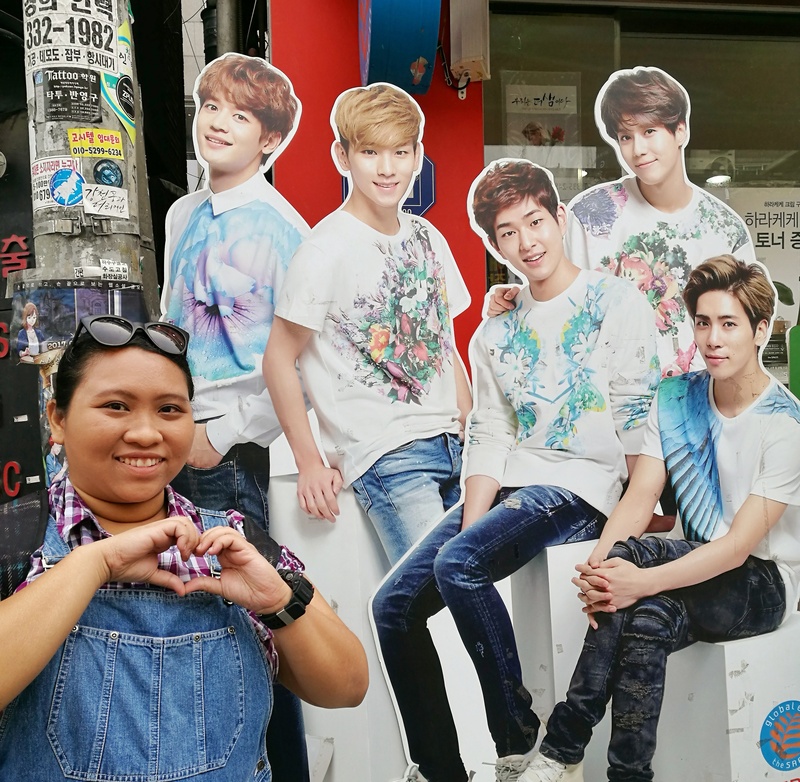 Found SHINEE again, all of them this time! 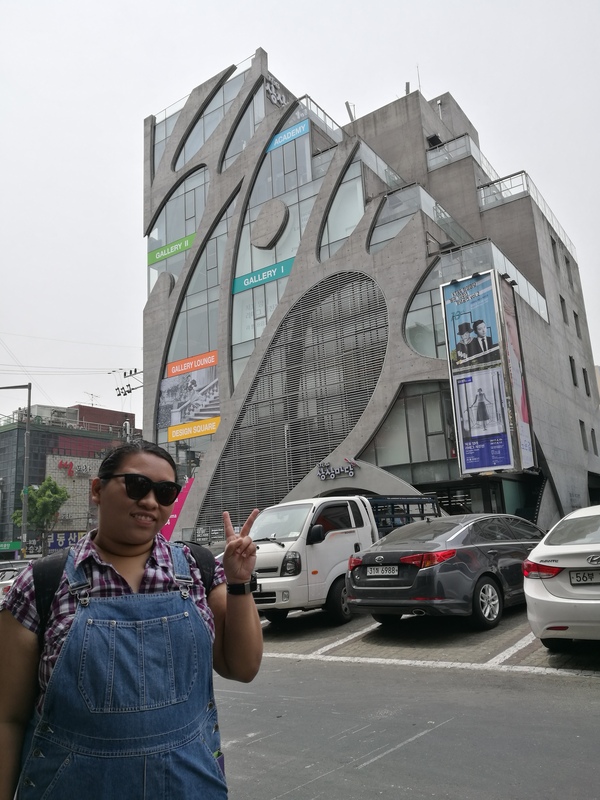 Our first stop of the day was Hongdae. This is popular amongst young people. It has unique cafes, galleries, accessory stores, fashion stores, clubs, art markets, and gourmet eateries. We basically came here to look for Running Man locations, but ended up shopping and eating as well. 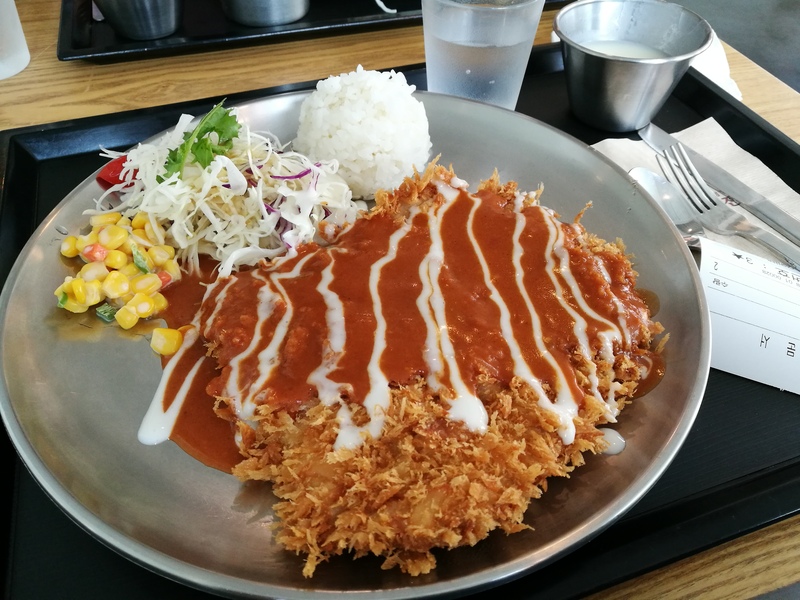 For lunch, we found a dongkatsu place near Haha’s restaurant. We went in because we saw the picture of the big dongkatsu for 6,900 KRW. Even though it’s cheap (for a restaurant), the food did not disappoint. 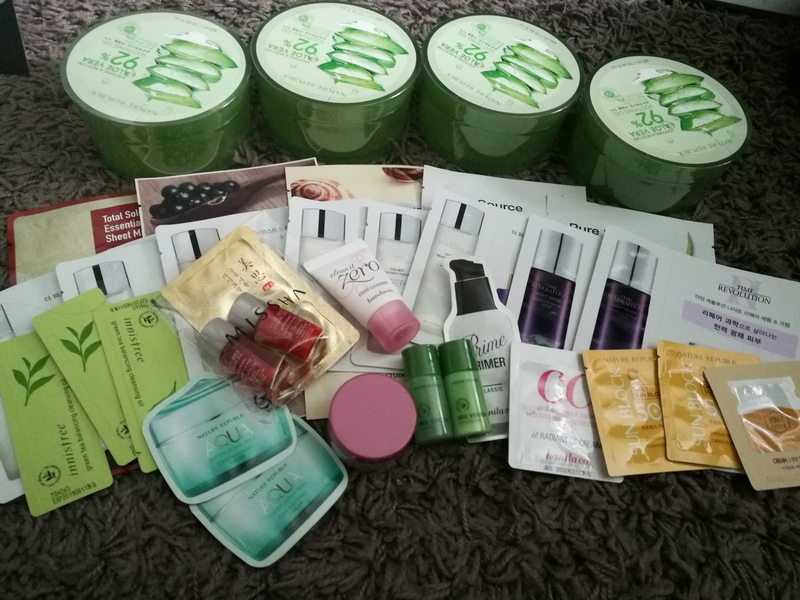 Next, we came back to Myeondong to find cosmetics for my sister’s officemates and other finds. I only bought a few things but ended up with a lot of freebies because my sister was going from shop to shop to find items. We’re gonna have a round two of Myeondong because her officemate’s gonna send here more money for stuff. More freebies for me! Bought aloe vera and got a lot of freebies! 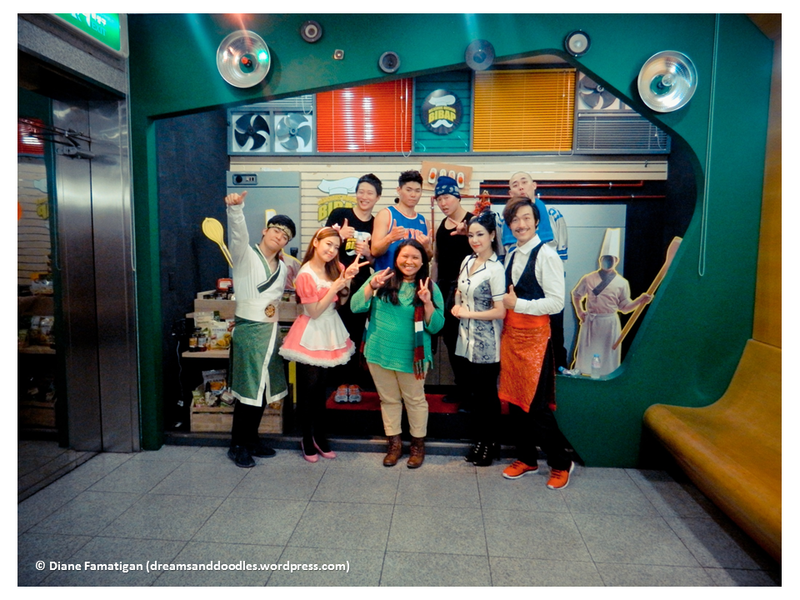 At night, we came back to Dongdaemun area to eat at a Korean buffet with the family. 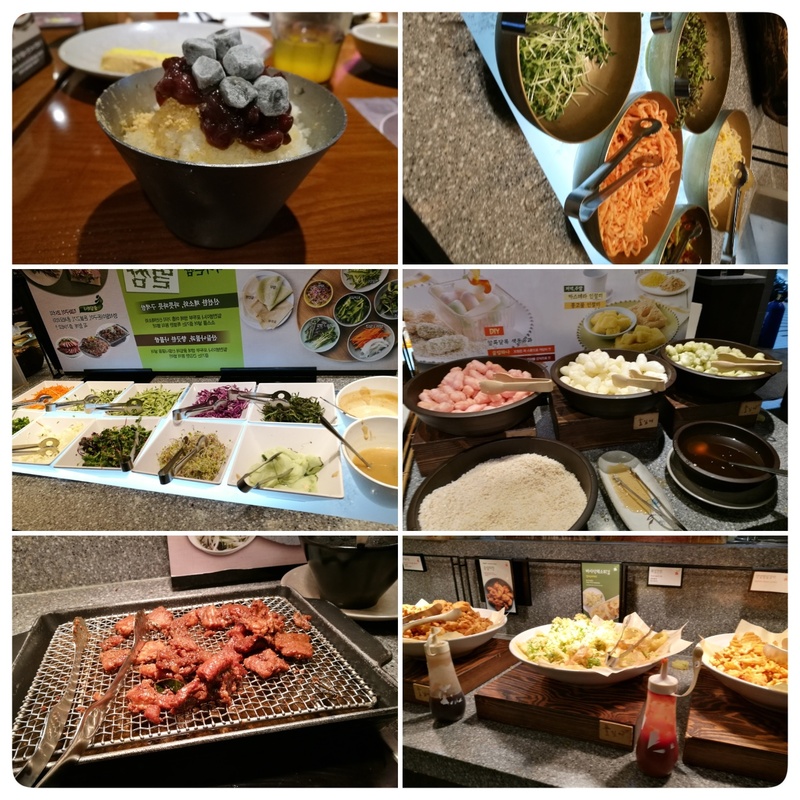 I enjoyed the food at it has stations to make your own veggie wraps and bingsu! I also got to try dukboki, the traditional Korean rice cakes. Before going home, I invited the family to see the LED Rose Garden at DDP since only my sister and I have seen it. Glad we came back because the sky wasn’t too dark we got to take better photos. That’s it for day 3! Annyeong! 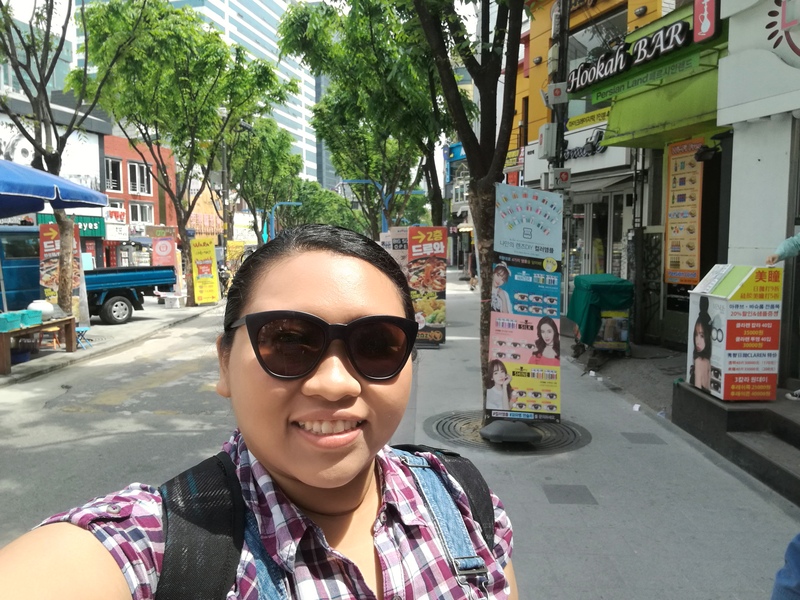 So, if last year, I was able to visit Seoul during the Winter-Spring transition, this year, I came during the Spring-Summer transition. (When will I be able to arrive at the middle of a season? Sigh..) The weather was quite great. It wasn’t too cold or too hot, an average of 18 degrees Celsius. AND it didn’t rain, like my last visit. 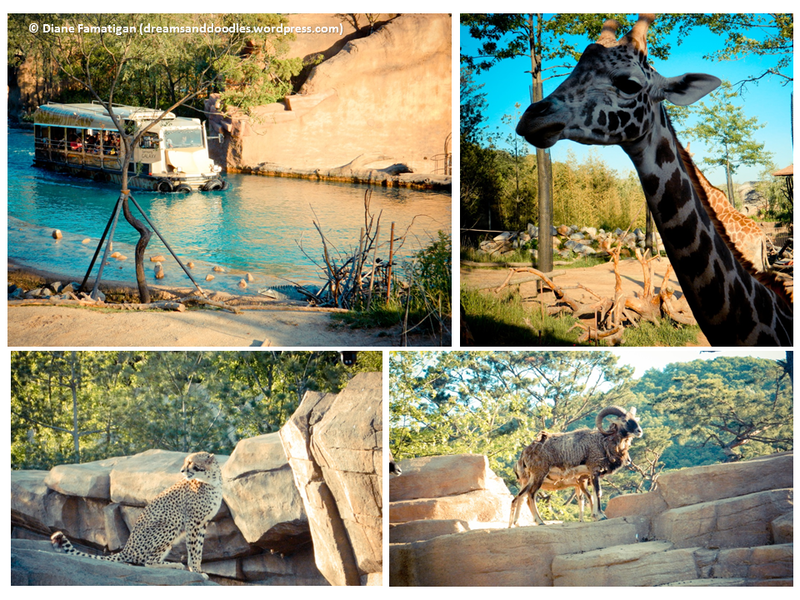 Now, without further ado, here are the places I went to on my second visit to Korea. 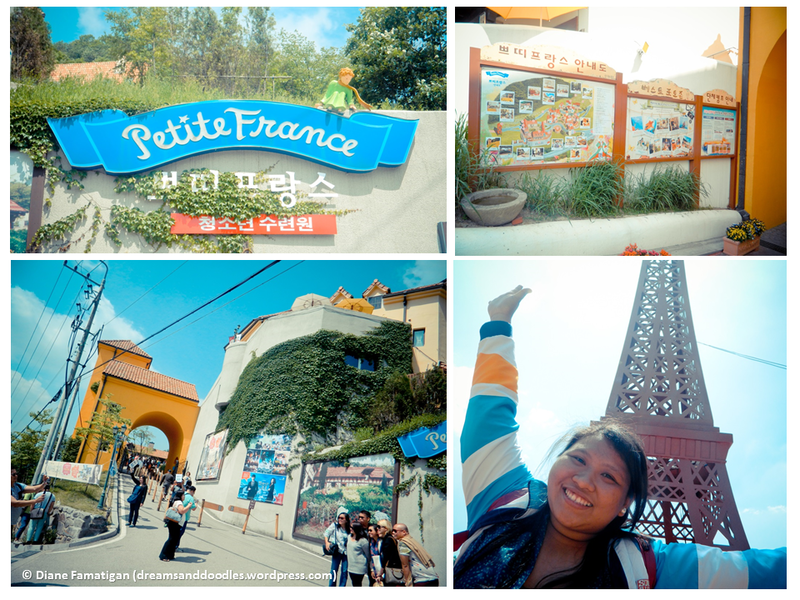 The first area I went to is a village called Petite France. It wasn’t in my itinerary last year because I didn’t know about it. Haha. It’s located near Cheongpyeong Dam and it’s usually included in bus tours as you will pass by here on the way to Nami Island. The last time I went to Korea, I took the subway and a local bus so wasn’t able to go here. 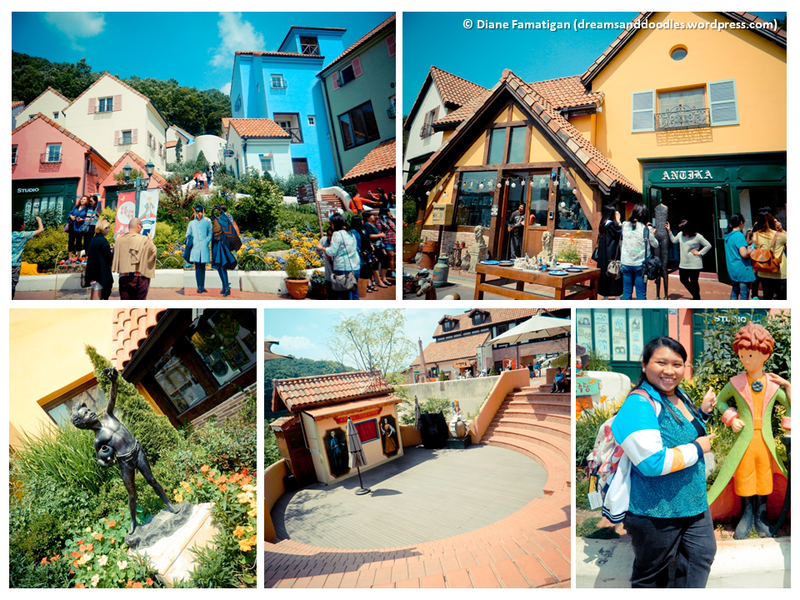 The village is inspired by The Little Prince and the French culture, and is popular as this had been shoot places of Korean Dramas such as “Beethoven Virus”, “Secret Garden” and “Man from the Stars” The kissing scene.. haha). More of Petite France: (From top left) Main houses in Petite France with Man From the Stars photo stands; An antique shop; Little boy; The Ampitheatre, where puppet shows are held; And me with The Little Prince. 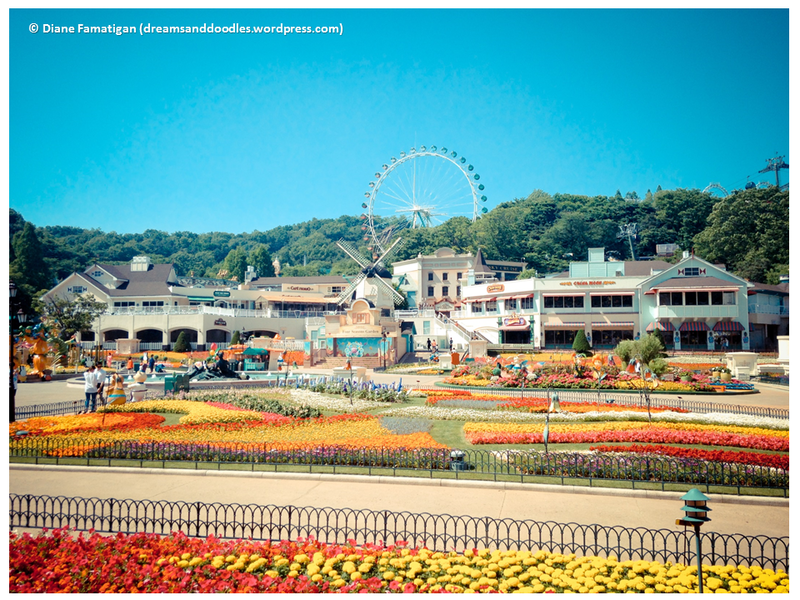 Next, of course is the very popular Nami Island. This is also famous due to it’s exposure in the Korean Drama, Winter Sonata. Nami is a place for families, friends, and lovers (case in point, Winter Sonata), as it has facilities for camping, picnics, and water sports. For me, this place is best visited in Spring time where the weather is perfect and flower-bearing trees are in full bloom. You can get here in two, ways. First, you ride a bus and they drop you off near the tower. Warning: you have to climb a long inclined plane which is okay if you’re althletic and young. Second, you take a cable car. You still have to climb but you can use steps can sit when you’re tired. My recommendation is to take the cable car because I’ve tried the first one this year, and I wasn’t happy about it. Anyway, some of the sites here at Namsan Tower are Love and Locks and the observatory. I don’t have pictures of L&L this year as I had tons of it already from last time, but I finally got to go to the observatory and took some pictures. 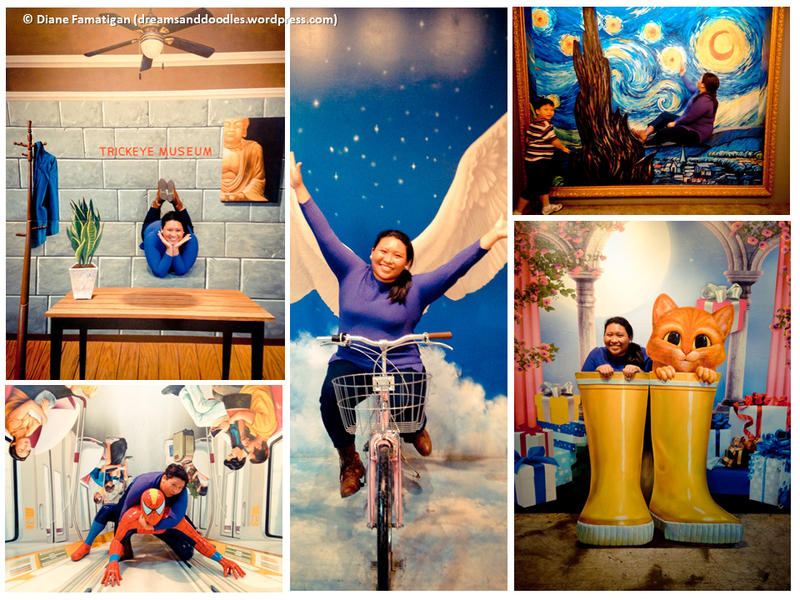 Unfortunately, the Teddy Bear Museum at Namsan tower has already closed. 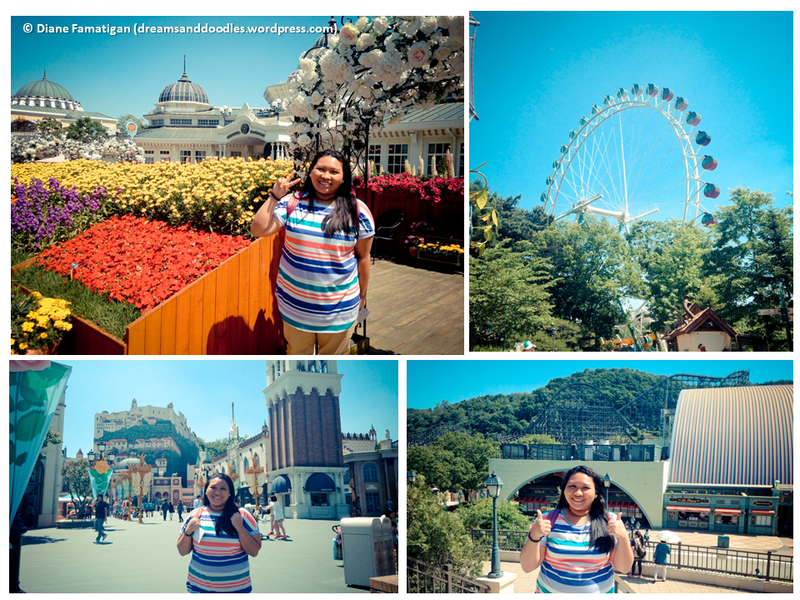 I visited it last year so it was fine, but f you’re a Goong (Princess Hours) fan, it’s a must visit. Not to worry, there’s another one in Jeju Island. 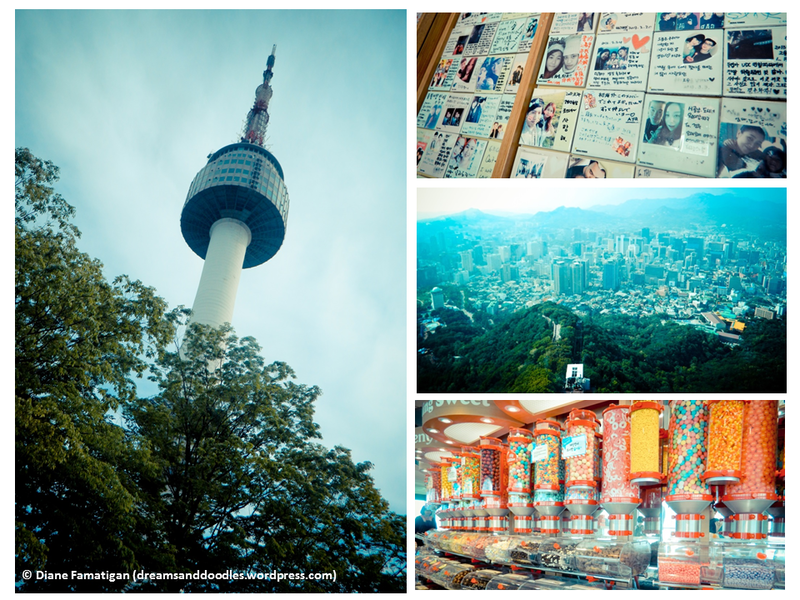 Here’s a tip: If’ you’re not on a paid tour, visit Namsan Tower on a Monday as all the tours are off that day. Some friends of mine weren’t able to get in on other days because of the volume of people visiting the place. Last time I went, it was a Monday and there was no crowd. The DMZ is the buffer zone or the border barrier between North Korea and South Korea. Tough this was included in the itinerary last year, we skipped this because there was a threat from NK during the time we went. I got to visit the 3rd tunnel via monorail. It’s a tunnel dug by the NK to invade SK, but it was discovered. I also got a change to have a glimpse of NK through the telescopes at the viewing zones. It costs 500 Won. This is one of the places I enjoyed the most because it’s the best way to see the colors of Seoul at night. Aside from that, I got to ride the cruise I’ve been seeing in Kdramas for so long. Haha. If you want to experience this too, I suggest you go here around 5:00pm to buy the tickets. The cruise starts around 5:30 or 6:00pm and will last about an hour. 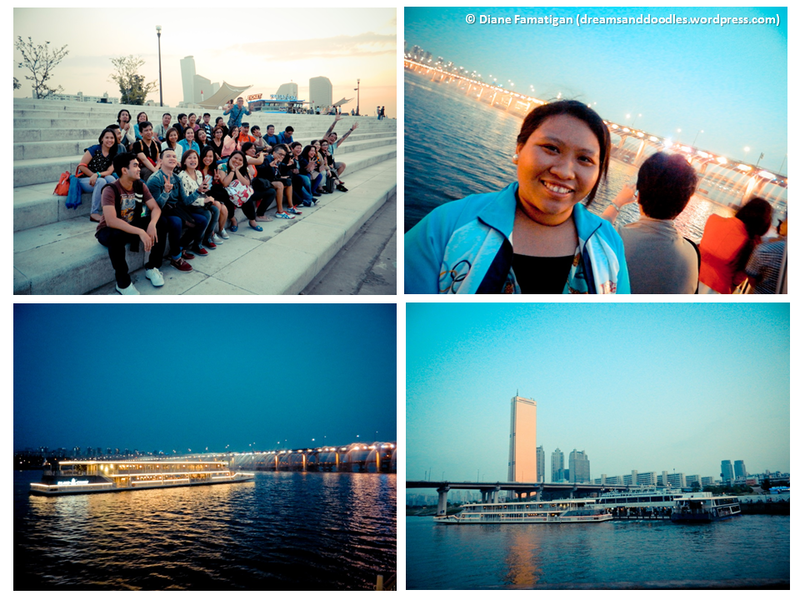 For first time Seoul tourists, I suggest that you go to the Han River at night to see the colorful lights display. But if you’re a picnic kind of person, you might want to visit during the day. 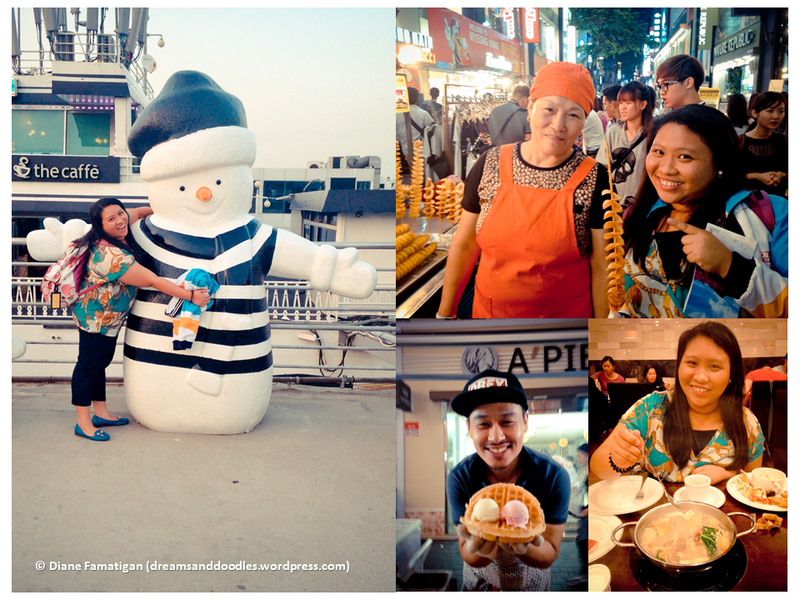 After the cruising and giving snowmen warm hugs at Yeouido, I went food tripping and shopping at Myeondong and Insadong. 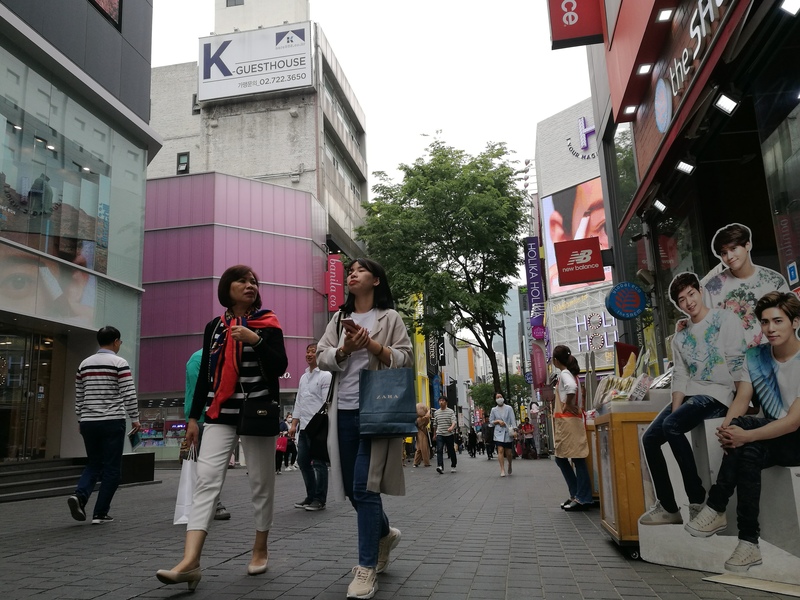 Myeondong is the shopping district. For those who enjoy splurging, this is the place to go. 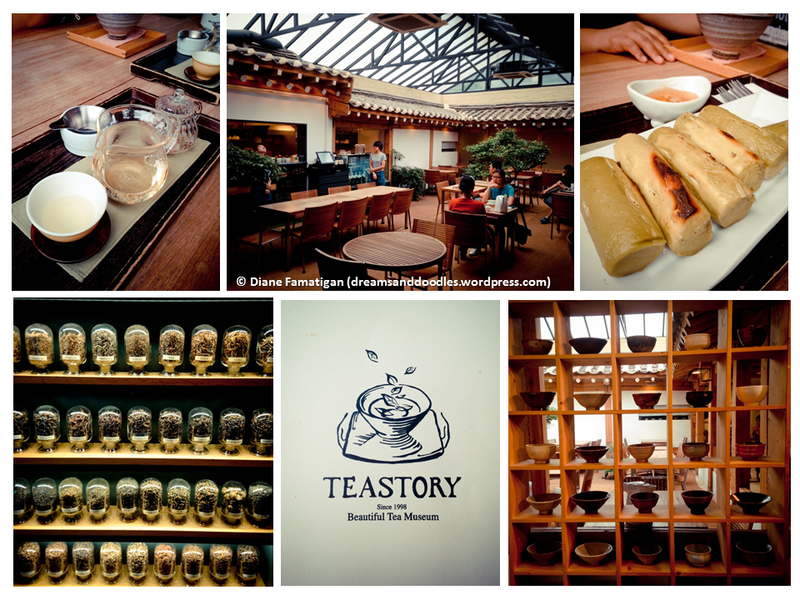 This is also a GREAT place to go food-tripping. The best street-foods are found here. 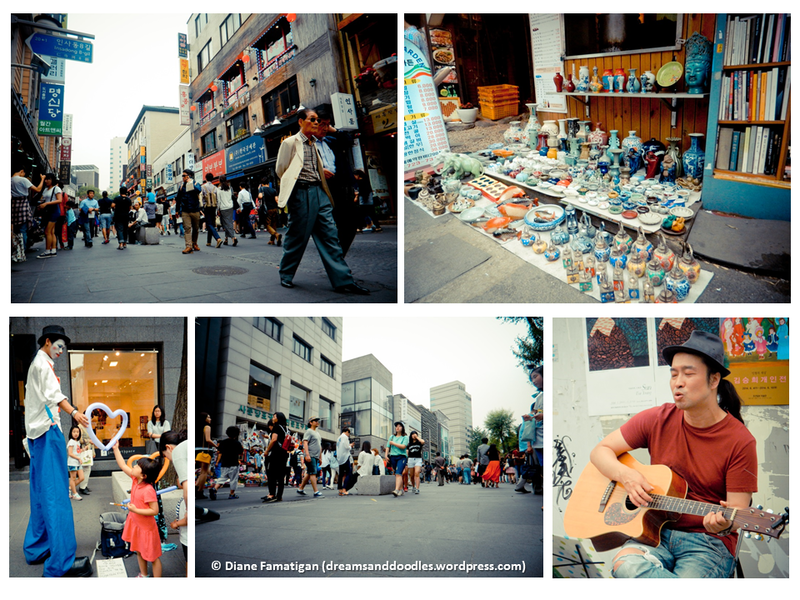 Insadong, is an arts and antique street. This is my favorite place in Seoul because the crafts you will find here are really interesting and unique. 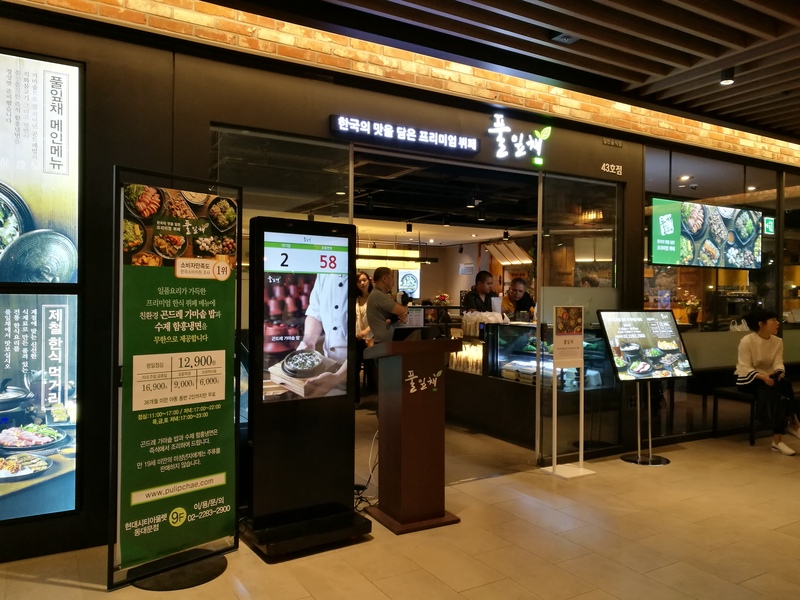 You can also shop here but there are more to choose from in Myeondong. 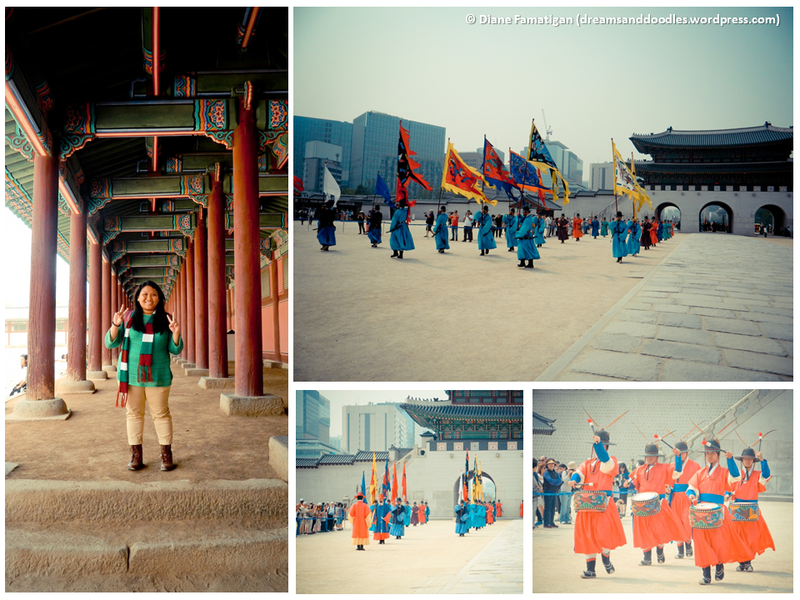 Gyeongbokgung Palace was the main palace of the Joseon dynasty. This is where the king’s throne was located and also the place where the royal family resided. 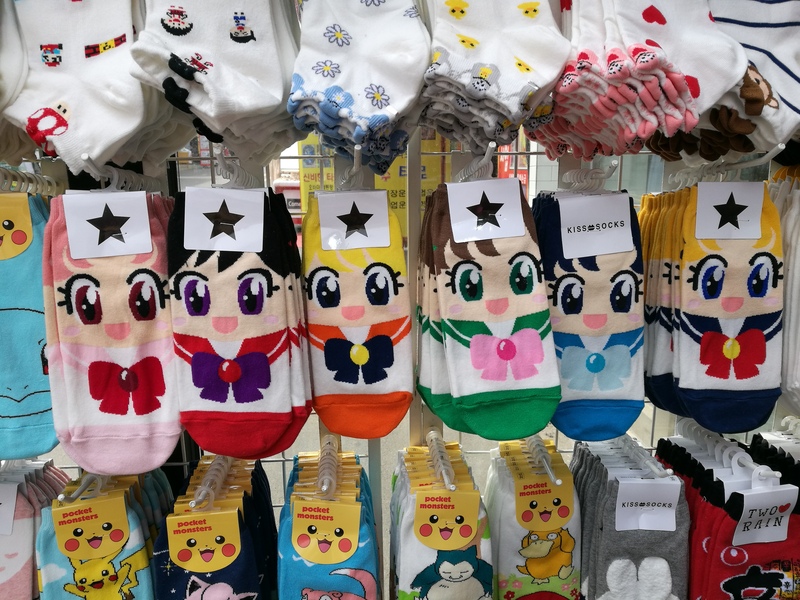 You might have seen this if you watched Goong. I was a die-hard fan so I was really happy to be able to tour this place. Last time I went, it was raining and it was so cold so I was only able to tour the throne and the garden. This time, some parts of the palace is being renovated. What’s good about this is that I was able to enter a different entrance and I was able to see more parts of the palace, especially the royal residences. I was also able to watch the guard-changing ceremony which usually happens in the morning. This is one of the funniest shows I’ve watched. I swear that this is worth it. Don’t worry, it’s a non-verbal performance so you would understand it. But better book a ticket on the English version so that the songs would be English. Below is a sample video of the show. The Museum of Modern and Contemporary Art in Seoul is relatively new as it just opened in late 2013. There you could find interesting installments in different mediums featuring both traditional and contemporary art. 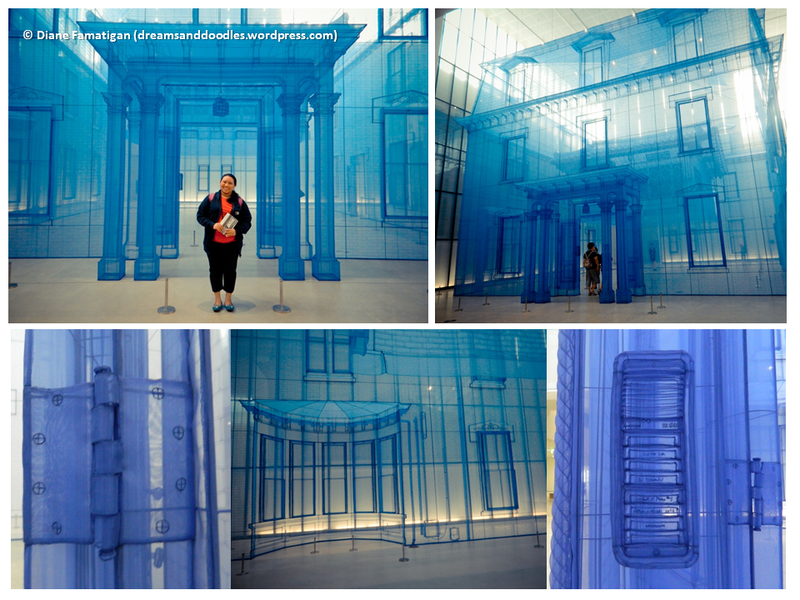 Below are some pictures of my favorite installment, Home Within Home by Do Hu Suh. If you plan to visit MoCA, I suggest that you allot around half a day to tour it. The place is really big and some installations are interactive so you might lose track of time, just like me. Haha. It’s easy to find as it is near Gyeongbokgung Palace. However, there is a minimal entrance fee as this is a private museum. This is one of the places Filipinos would definitely enjoy since we just love to take pictures, don’t we? The Trickeye Museum is an art gallery with paintings created using ‘trompe l’oeil’ techniques that give each 2D art piece the illusion of being in 3D. So instead of merely viewing paintings (as in a typical art gallery), visitors can interact with the paintings, posing themselves just right so that they look as if they are part of the original work. Fun right? However, since this is a small place, there’s usually so many tourists and you have to really really really be patient enough to be able take pictures in all the installments. Maybe it’s because I went here on a Sunday so just to be sure you would maximize your stay, better choose a weekday to visit this place to avoid the crowd. 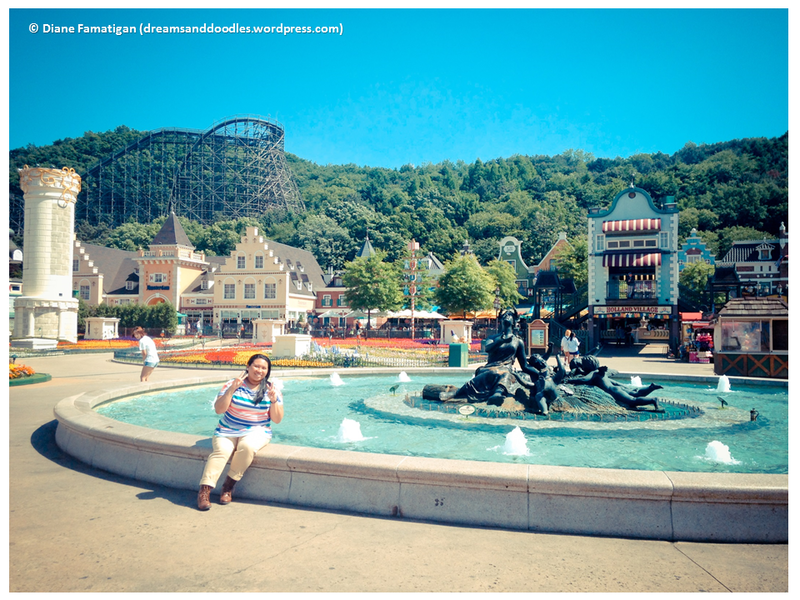 I’ve been to a fair share of theme parks all over Asia, but not yet the ones in Japan and Disneyland HK (because it didn’t exist yet when I went there). And so far, this is my favorite. Below are some of my favorite features of the park. Another garden you will surely love is the Rose Garden. 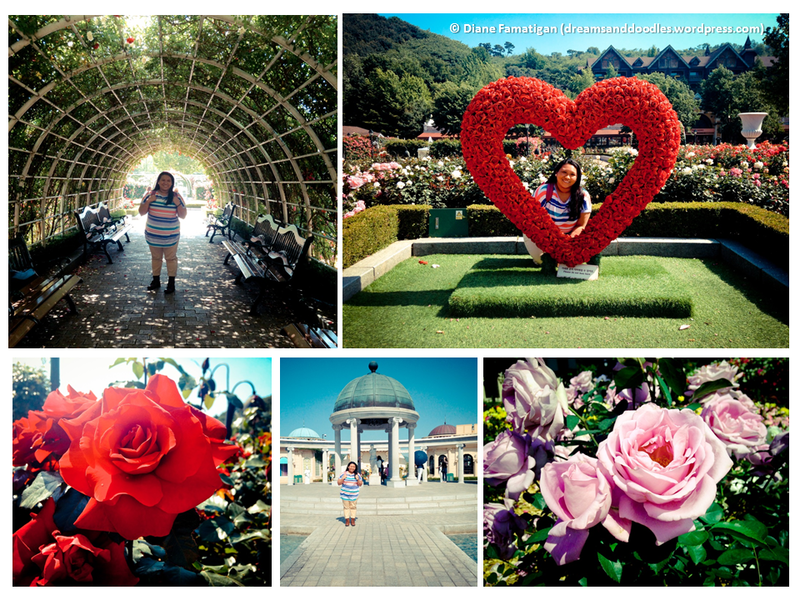 It’s another European-inspired garden where you’ll find different colored roses in full-bloom. Tip: Best time to go is Spring time. Weather is great and the gardens are so beautiful. The War Memorial of Korea is found at the Yongsan Area in Seoul. It used to be the grounds of the Korean Infantry. On the grounds, you will be able to see the different vehicles used during the World War 2. 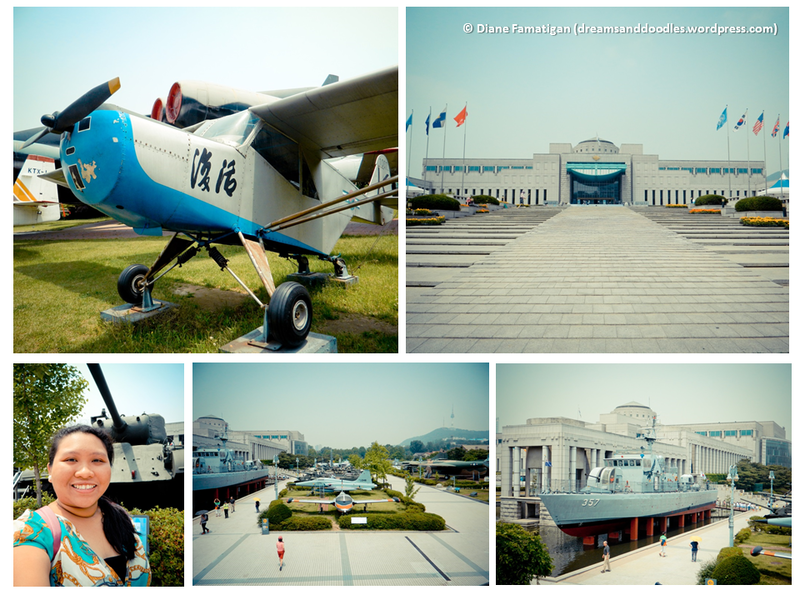 And inside the museum, you will find different galleries on the war history of Korea.